All BAYS teams must use an official BAYS game roster. Computer-generated forms which deviate slightly in format are permissible as long as all of the required information is included. Information on the rosters must be typewritten or computer generated. The handwritten addition of player names is not permitted. However, handwritten notations are acceptable to (a) correct uniform numbers and (b) delete players who are absent from a particular game. Use the following table for information on the individual fields on the roster form. 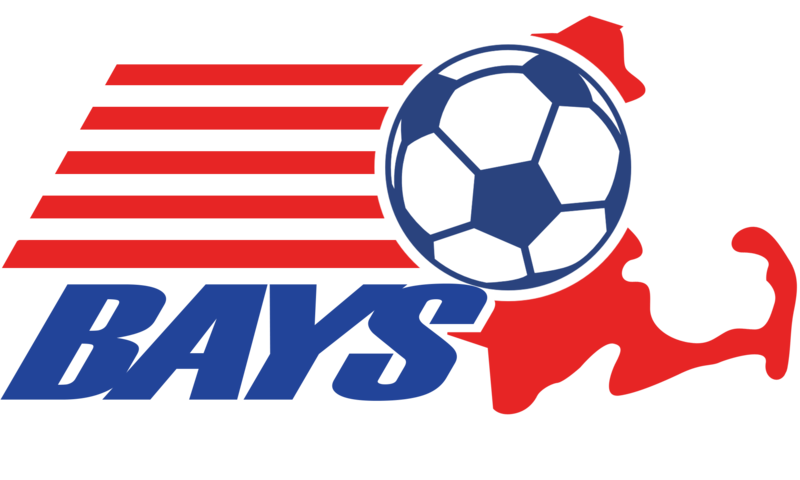 The example is based on a fictitious team, the Medfield Strikers, that has been assigned team number 547 by BAYS and has been placed in Boys Grade 6, Division 2, Section C.
For rosters submitted electronically, see the supplementary instructions for the eRoster program. The name of your town followed by the team name. The gender and age group the team is playing in. The BAYS division and section where this team has been placed. The BAYS team ID number (1 to 4 digits) assigned during placement and found on the placement sheets. Must be included on all rosters. The date when this copy of the the roster was prepared. The name, address, phone number, and email address of the team's coach and assistant coach (if any). If neither the coach nor the assistant coach are at the game, the acting coach must handwrite his/her contact information on the form. Not required on copy submitted to division director. On game roster, may be added/corrected by hand. No duplicate numbers permitted. The player's name, last name first. The list of players must be in alphabetical order. Start at line one and do not leave any blank lines. Draw a line across the page after the last name. The player's town of residence. Waiver # assigned by BAYS for residency, age, or roster size waivers. This is the space for the league registrar's stamp (where required). Signature acknowledging that the coach understands the rules and agrees to abide by them. This signature is required on game day rosters but is not needed when the roster is submitted to BAYS. Signature certifying that the players and coaches meet all league, state, and national requirements. A signature is required on all paper rosters, including copies submitted to BAYS. On electronic rosters, the printed name of the town registrar is required.